The republic of Venice created out of the lagoon communities in the northeast of the now Italy in the seventh century adopted St. Mark as its patron saint. The winged lion holding a book on which is written in latin “Pax Tibi Marce Evangelista Meus’ (Peace be with you, Mark, my evangelist) was typically flown at times of peace. 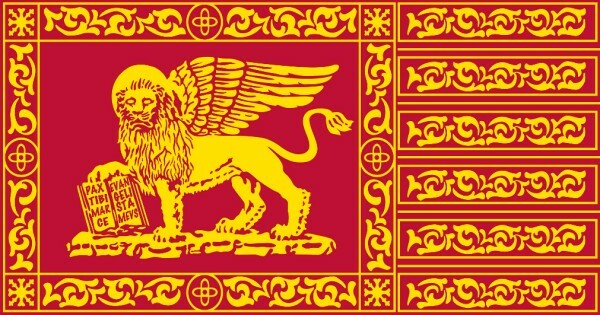 A mixed government consisting of the monarchy of the Doge, aristocracy in the Senate and a democracy of the Rialto families in the Major Council. The republic finally fell to Napolian and the Austrians in 1797. ← Things learned in life……or not.